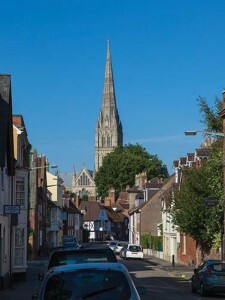 Salisbury is a vibrant cathedral city surrounded by the beautiful countryside and villages of South Wiltshire. People visit or decide to live here because it is is a welcoming community, working and trading in a marvellous historic setting. The challenges today are to maintain those attractive qualities whilst accomodating ongoing changes in population, lifestyle and economy.